When it comes to the events we’ve got planned for you this April- we have something lined up for everyone! Check out the list of events below. 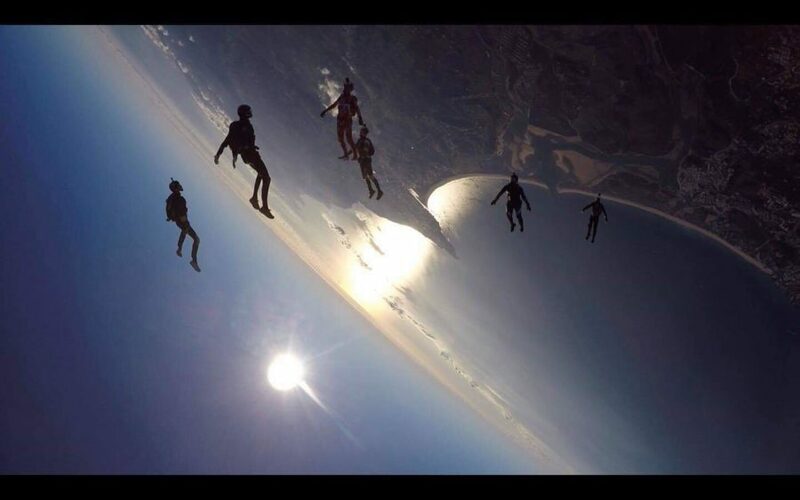 Whether you’re a novice wishing to become a licensed skydiver, a newly licensed skydiver looking to progress onto a B license, a budding freeflyer looking to brush up on your tracking skills or maybe you need to hone in on your canopy piloting skills to become a better pilot of your canopy … We have it all covered this February! We run weekly AFF courses starting every Monday morning. 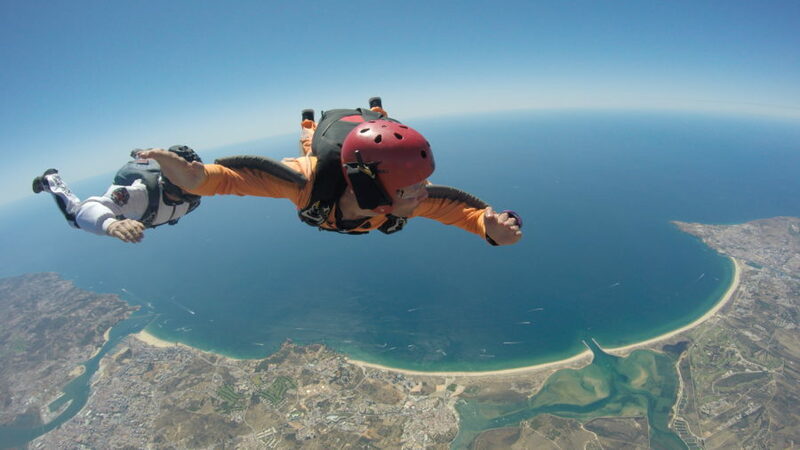 These courses offer a fast-track route into the World of Skydiving! The courses consist of one full day of ground school after which you will perform a Tandem Skydive and put everything you’ve learnt during the ground school to the test whilst still attached to an expert instructor. You will then complete levels 1 to 7 of the AFF program- each level consisting of a jump from 15,000ft. 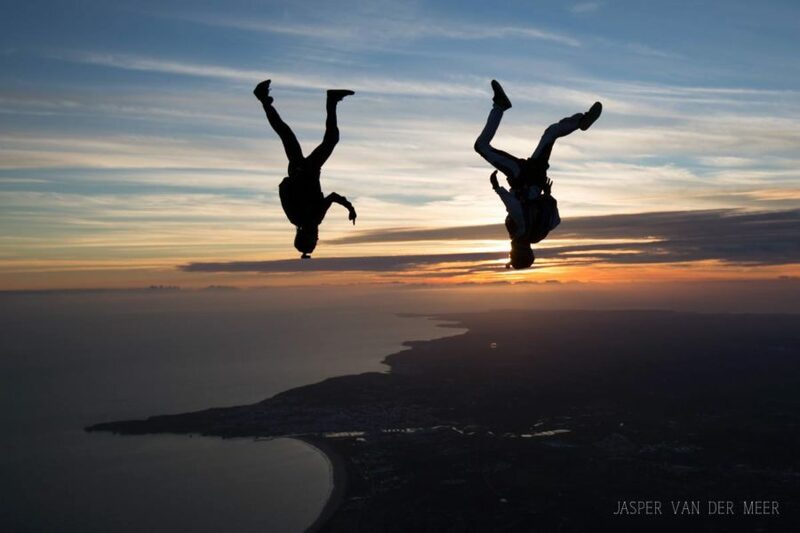 Firstly you will be joined in freefall by 2 instructors, after levels 1- 3 you will be joined by only 1 instructor and on level 8 you will perform a low altitude jump alone. After this 10 solo jumps are neccessary before you can become qualified. To book onto the AFF course please just click the book now button. 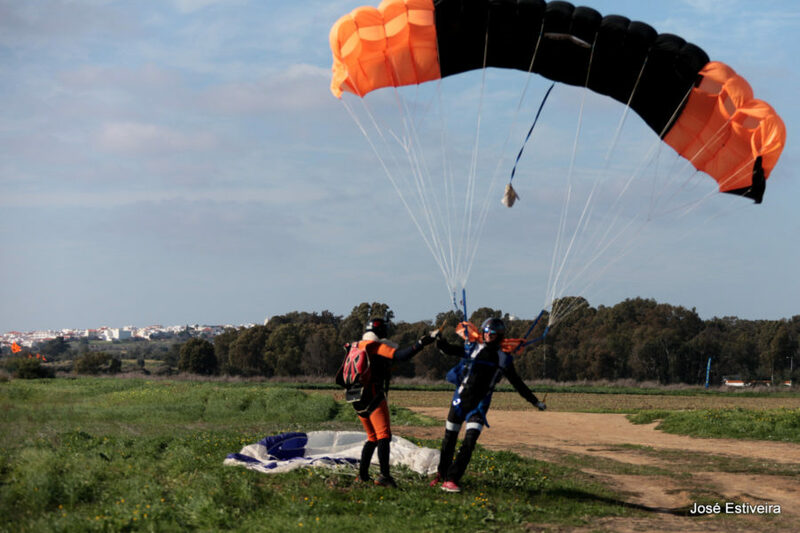 Welcome to Trackdayz at Skydive Algarve! An awesome tracking event in the Algarve. Join us to learn and sharpen your tracking skills and to be a part of epic tracking jumps by the sea. Two full days of action packed tracking jumps organised by Tim Porter. We separate the groups based on number of participants and skill level to be sure the groups fly safely. Every level is welcome as long as you meet the qualifications below. Tim will be leading you on tracking jumps, focusing on improving your skills and having a blast doing it. QUALIFICATIONS: 200 jump minimum and group tracking experience. If you have less than 200 jumps and wish to improve, we have 1-on-1 coaching available. 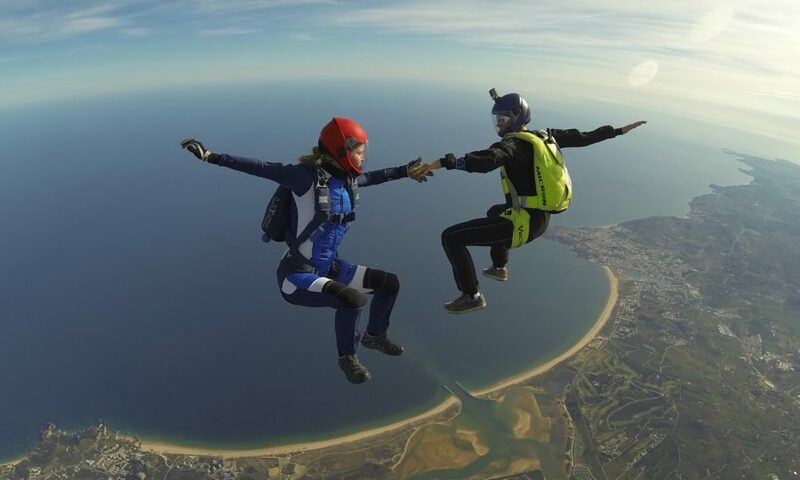 Get ready to level up your freefly skills at Skydive Algarve’s freefly school: Level Up! Join us for Level Up Freefly Week – a week of intense freefly coaching and load organising with Tim Porter! During this week, you can book for 1-on-1 coaching, join a group led by the load organizer, Tim Porter, or book him for the full day for yourself, or split the cost amongst friends. If you want to make a group to hire a coach for the day but are not sure your level is good enough, you must clear this with the coaches directly at the DZ and then book the coaching accordingly. If you are looking to progress in any way in your skydiving – to obtain your next license we have you covered in this Progression course. We will provide you with the neccessary one-on-one coaching aswell as the license briefs and any neccessary paperwork to ensure that you can apply for the license you require. Our Active Piloting canopy course teaches you to be a pilot, not a passenger. Experience every control input your canopy has to offer, and learn to fly where you want to go in a range of wind conditions. Try out precision turns and start playing with front risers up high to fully understand the speed your wing is capable of. Gain the tools to deal with difficult situations. We’ll even have you trying out some crosswind landings! Learn how to use your body position to control the canopy and keep you safer at the same time. Improve your flying more than you thought possible. You will leave a more capable and much more assertive canopy pilot. Fly with newfound confidence. To book onto this 2 day course please use the Book Now button below.